Delfina chef Craig Stoll shares secret of his family’s nutty matzah balls – J.
Delfina’s Passover menus have been around for nearly as long as the 20-year-old San Francisco Mission District restaurant itself. 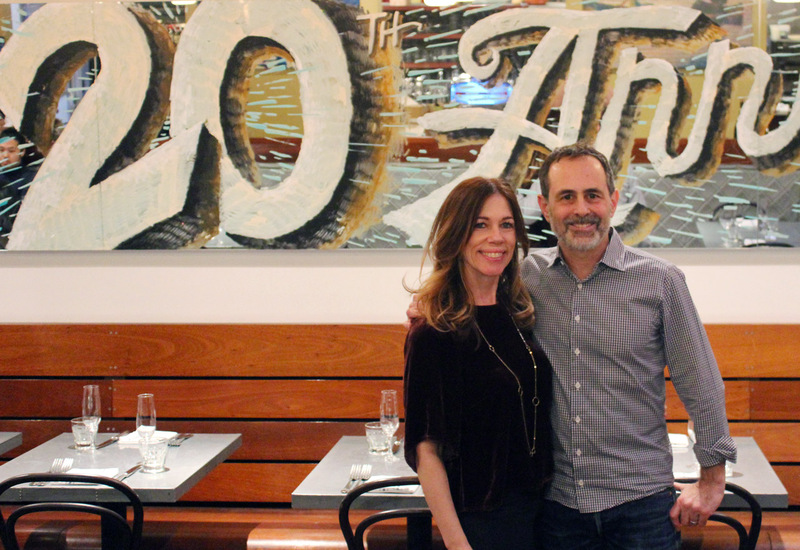 Chef-owner Craig Stoll says specialties featured this year will include pastrami-cured gravlax, chicken liver crostini (on matzah, of course), brisket with tongue, salsa verde, new potatoes, Buddha’s hand mostarda, and pistachio matzah cake with strawberry rhubarb and crème fraîche. The menu will be offered April 19-27. He spoke with me about how the tradition got started, what’s on offer this year — and why there are so many Jewish chefs serving up Italian food. 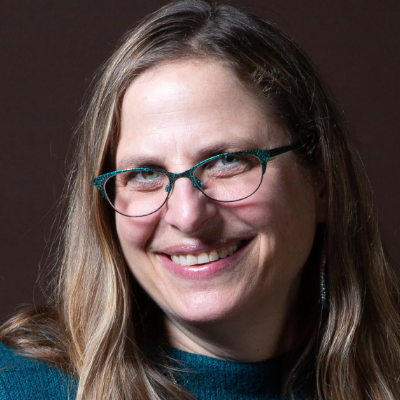 J.: Your Passover menus change a bit from year to year, but one thing that remains a constant is the Stoll Family Matzah Ball Soup, which features matzah balls with a walnut inside. How did your family come to make it this way? Craig Stoll: My grandmother’s housekeeper made them like that, and I grew up with them made that way by my mother, too. Later when I was living in San Francisco and was going to do my first seder, I asked my mom for her recipe, and she said, “I don’t know, look on the box.” It tells you to form the balls into the size of a walnut, and that’s when it dawned on me: English was not the first language of my grandma’s domestic help. Of course, I don’t actually know, but it’s pretty clear that’s what happened, so that’s my story and I’ve stuck to it. And at the end of the day, walnuts are really good in there. J.: How did you start doing the Passover menus? Your chef at the time was Matt Gandin, now executive chef at Berkeley’s Comal, where he does Jewish holiday menus. CS: Before he was with us, he was sous chef at this Jewish-influenced restaurant South of Market and he came up with some ideas. My mother thought it was terrible the first time she came to try it. It’s gotten more and more popular. 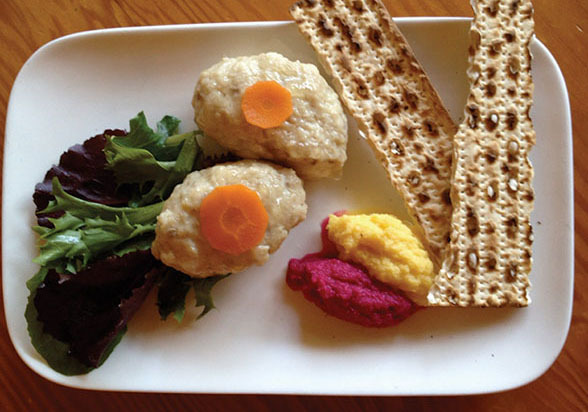 We always say that our menu is inspired by Passover but not necessarily kosher or flour-free. We have both bread and matzah, and we train the staff to not let them touch. People are not meant to come in and have a seder, although some people will sit there and do the whole thing. J.: You feature something called an edible seder plate. What’s that? CS: The lamb shank is replaced by lamb crudo, the herbs are an herb salad, the egg is egg salad. Every part of it is edible. J.: How did you learn to appreciate good food? CS: My mom was a great cook, and my dad became one later, too, when it became fashionable. They were foodies before the term existed. I grew up first in Westchester [New York] and then Florida. My parents once drove to Boston from Westchester just to try a new restaurant they read about in the New York Times. They took Sichuan cooking classes in Manhattan and would shop in Chinatown for ingredients and throw these parties, and my brother and I would roll the egg rolls. My mom would cook full holiday dinners on Passover and Hanukkah, and one of my grandmothers did, too. J.: When did you know you wanted to be a chef? CS: I had been working in restaurants in high school, and I loved working in the kitchen much more than school. There was instant gratification. Also, I started cooking for money so I could have a car and get dates. I also learned that if you can cook a girl dinner — game over. Of course, my parents would have preferred a doctor or lawyer, but with my school record, that wasn’t in the cards, so they were OK with it. My aunt and uncle, who knew a lot about food, told me I should look into the Culinary Institute of America. J.: Your work life led you to Italian food. What do you make of the fact that some of the best-known Italian restaurants in San Francisco have Jewish chefs? CS: There’s definitely something there. Even my favorite Italian restaurant when I first moved here was owned by a Jew. Our new chef has a Jewish mom and Italian dad. Judaism is so much different here than in New York or Los Angeles. There you wear it on your sleeve and hang with your tribe. Here, there are people I’ve known for years and didn’t know they were Jewish. On my block in Westchester, everyone was either Jewish or Italian. We ate plenty of Italian food, but I don’t think they were looking to eat so much Jewish food.